This meal feels celebratory and special despite being low-effort; it’s what my flatmate and I had to celebrate the first few days of work. 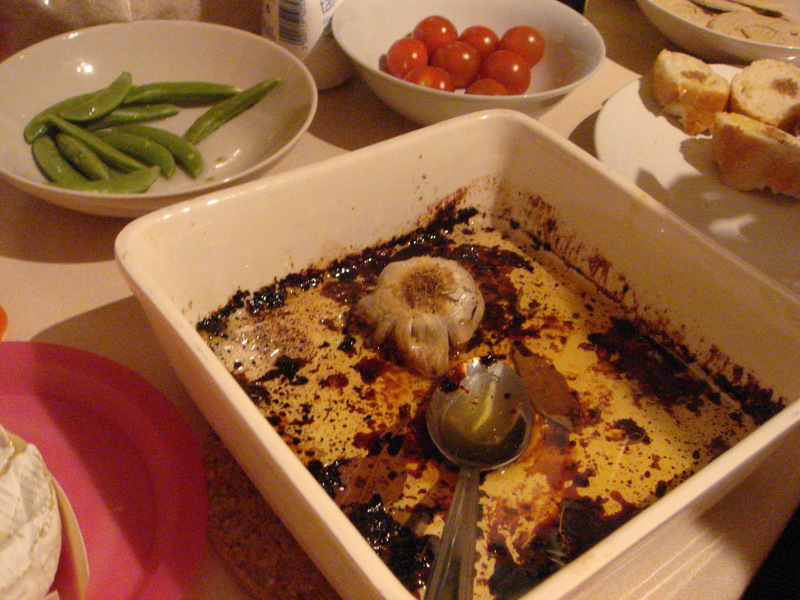 Baked camembert and roast garlic is a wonderful combination, especially if you let the camembert bake long enough that it becomes genuinely oozy down to its centre. The flipside is that the sides of the camembert become too unstable to containing the melting cheese, so you really do need to put it on a side-plate as soon as it comes out of the oven to avoid a mess. 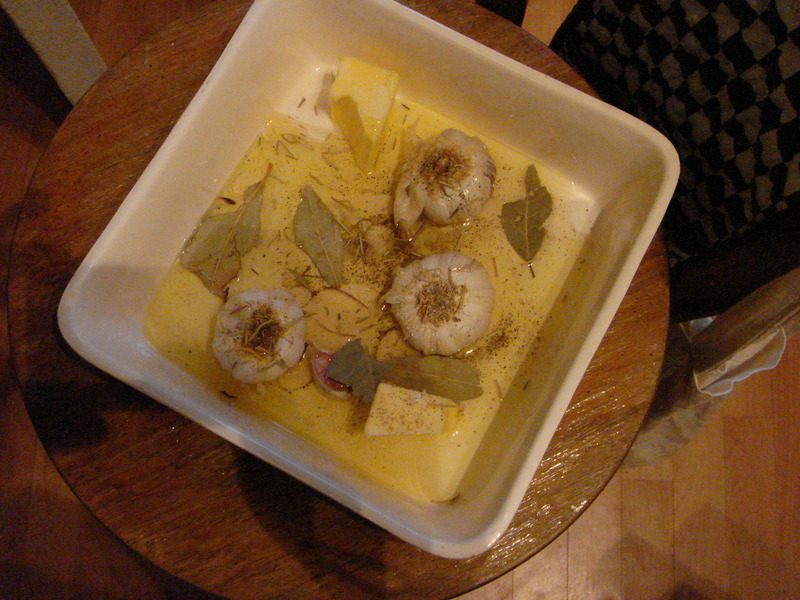 Also, you should think about roasting more garlic bulbs than the recipe calls for. I ended up doing three because they were small. Roast garlic is so sweet and musky and addictive. It’s so lovely mashed into a paste with lots of bread and oil. You need bread for this, but we also had raw sugar-snap peas (amazing) and cherry tomatoes for some freshness, extra-virgin olive oil and balsamic vinegar. This recipe is from Lorraine Pascale’s BBC show Home Baking Made Easy. She certainly loves her honey; she seemed to say “add a squidge of honey” every second recipe. I am also a fan of honey but not such a fan of sweet-and-savoury, and also I was scraping the bottom of my honey-pot (no Rowse beehive-shaped squeezy bottle for me!) so I used a little less than she called for. 3) After 40-45 mins check that the cheese has melted to its core, that the garlic is soft and that the bread is crisped to your liking, whip it out of the oven and serve. You squeeze the garlic out of its papery package and smear it on the bread as you dip it into the cheese. Messy heaven.